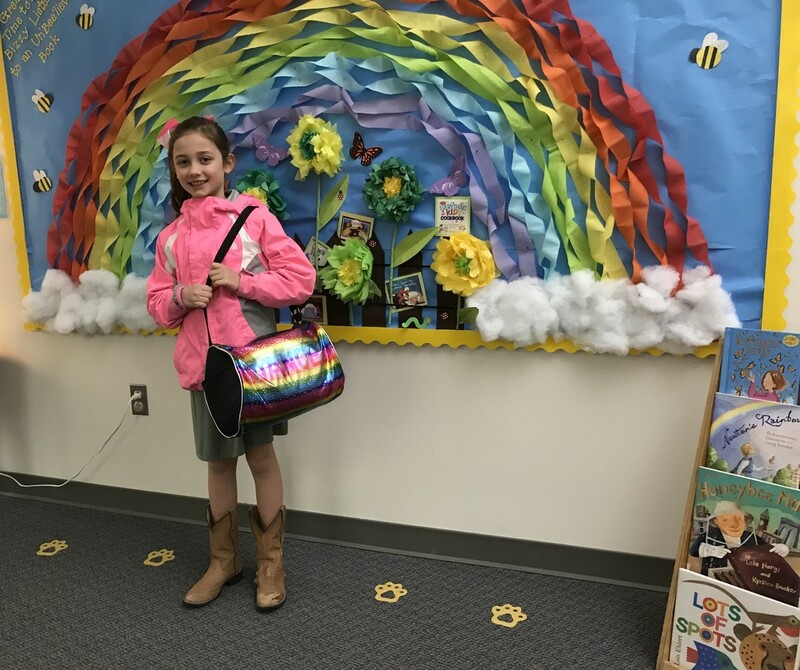 This young lady is modeling a rainbow tote that she has had since she was 3. Isn’t it the perfect accessory for the display? Since 3? She's taken good care of it! What a sweetie!